What’s your dream job look like? Flexible schedule? New challenges? Better pay? Because here at Acloché, we’re in the business of helping people achieve their career goals and more. At Acloché, finding your next great job opportunity is so much more than just completing an application. Our team is fully committed to connecting you with the best opportunities to complement your goals and skills. We’re committed to knowing you. We offer light industrial jobs, general labor jobs, warehouse jobs, materials handlers, forklift positions, and many other rewarding careers in Columbus and throughout Central Ohio. We take the time to truly know each one of our Associates. By knowing your ambitions and career goals, we can match you with a position that complements your skills and personality. Acloché offers great starting pay, benefits, bonuses and will only match you to a position that fits your unique needs. With temporary, temp-to-hire, and direct hire positions, we will find a job that fits you, whether you want to test the waters with short term positions or are ready for a more permanent role. 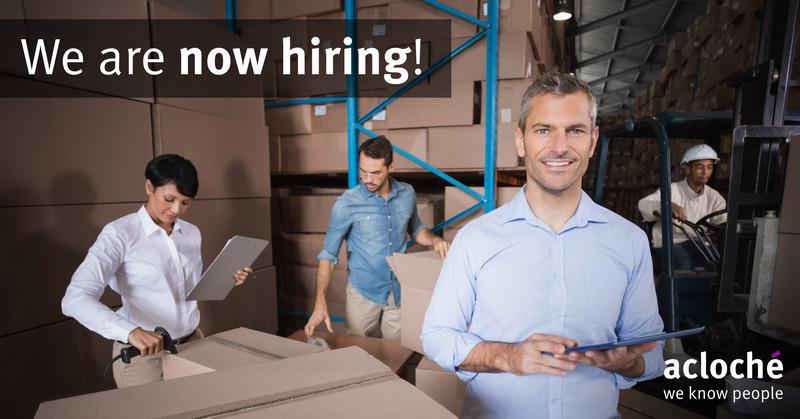 With locations all throughout Central Ohio including Delaware, Gahanna, Hilliard, Lancaster, Marysville, Newark, Reynoldsburg, and downtown Columbus, Acloché is sure to have open positions in warehouse, general labor, and light industrial in your area. Click here to browse a list of our open positions! Check out our current temporary, temp-to-hire, and direct hire job opportunities. Need to take our skills evaluation? Click below to find your perfect fit! EAGER TO BEGIN? APPLY ONLINE RIGHT NOW.